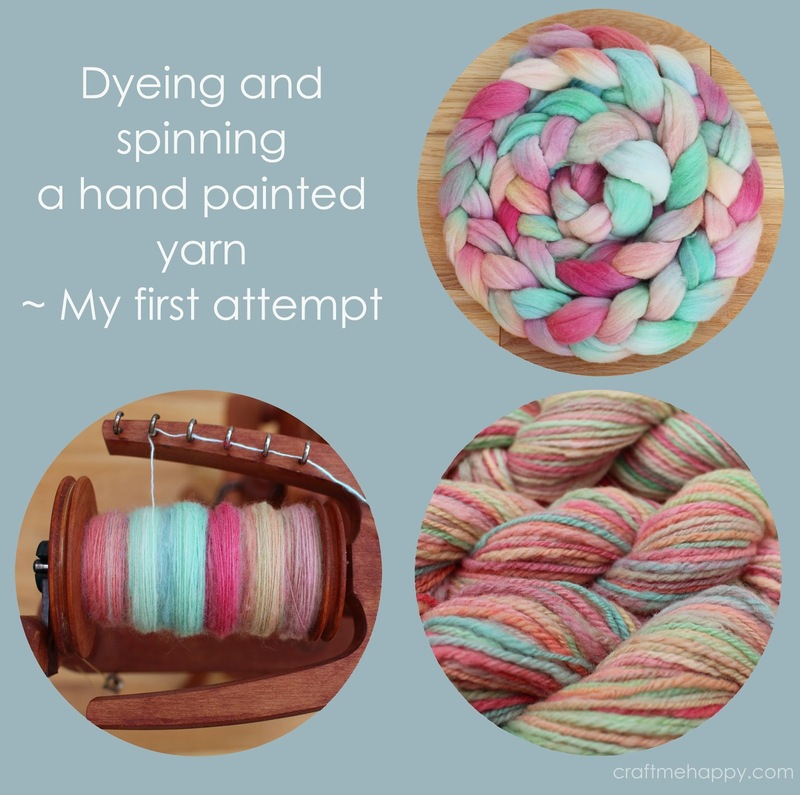 A week or so ago I posted about the self striping yarn that my daughter dyed and then I spun. I was so pleased with how our first attempt at dyeing turned out and I wanted to make a child's scarf so that my daughter could enjoy wearing something that she'd had a hand in making. 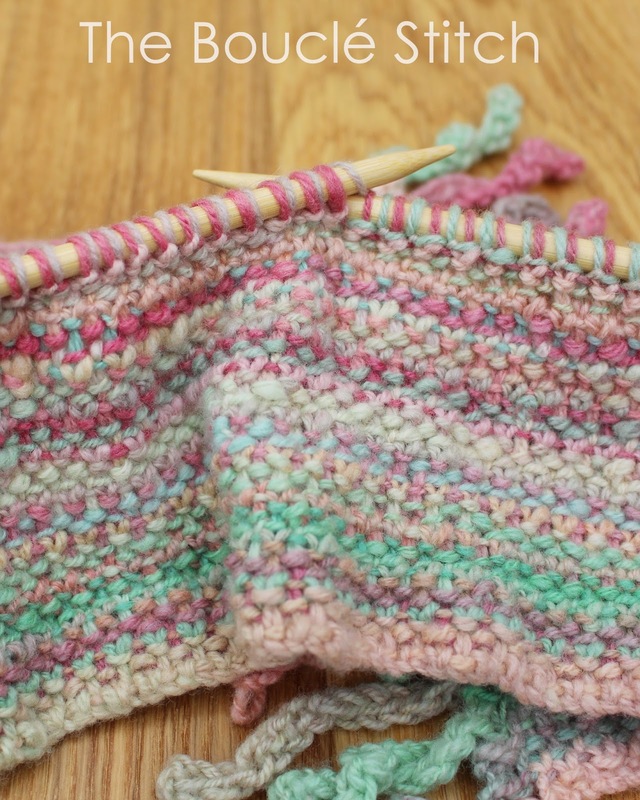 My original intention was to knit it in linen stitch, which is perfect for scarves, as it forms a stable fabric that doesn't curl and it's pretty easy to remember, which makes it perfect for knitting hundreds of stitches without too much concentration. As a stitch on its own it's relatively unimpressive, but it really comes into its own when it's worked in a self striping yarn as the rows are dotted with strands of contrasting colour. However when I started knitting a tension square in my handspun yarn, it just looked a bit too flat and I couldn't help thinking that the reverse side looked better as it had so much more texture. I just love how the purl stitches show off the hand spun yarn and the texture creates shadows and contrast that bring out the colours far more, than on what is supposed to be the right side. 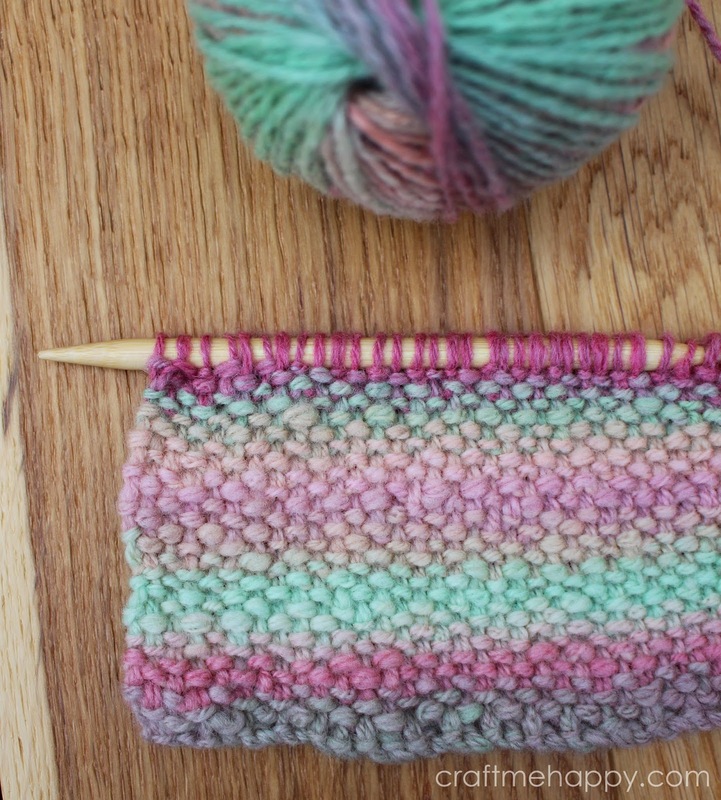 I searched and searched for a 'reversible linen stitch' that had purl stitches on both sides, as well as the slipped stitches that carry the colour changes across the rows to get the woven, blended effect of linen stitch. Well if it exists, I couldn't find it, so I decided to work out my own stitch. It's often said that there are no new stitches, as knitting has been around for so long that it's just not possible to design a stitch that hasn't been done before - in fact, many, many years ago, when I was applying to universities to study knitwear design, I was naively showing a swatch of a stitch to my interviewer that I had proudly "invented"; the lecturer rather snootily told me that it's just not possible to invent a new stitch and that there is nothing new in hand knitting that hasn't been done before. So maybe I haven't invented this stitch, but here's my version of a reversible linen stitch, which I'm calling the "Bouclé Stitch" as the texture reminds me of fabric woven from bouclé yarn. You may notice that the same alternate stitches are worked over two rows, you then switch over to work the remaining alternate stitches. ... and this would be the back. I've nearly finished the scarf and I'll be posting about it soon. So what so you think? Does this stitch already have a name? I'd love to know. Do you think it's really possible to "invent a new stitch", or has it all been done before? How did you knit the fringe? It is lovely. I have not seen that before? Sincerely, Paula K.
This scarf is absolutely gorgeous and it really does have that woven, bouclé yarn look about it but in my opinion it's nicer. The colours worked fantastically well together. 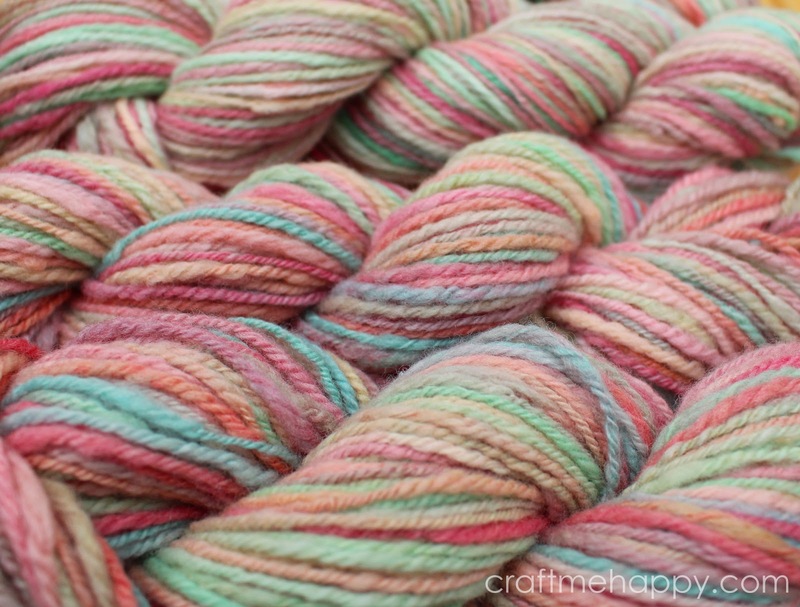 I loved the post about your daughter dyeing the wool. 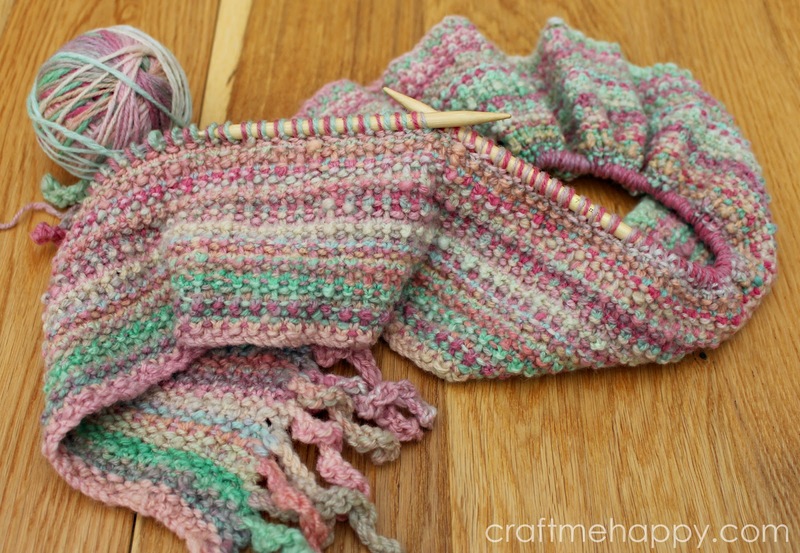 The finished scarf is something she can really treasure forever! Thank you! The fringe is really simple, you just cast on 15 or so stitches as tightly as possible, and then cast them off again straight away as loosely as possible. I'll be posting more information about making the scarf when it's finished. No no, you have to post the fringe NOW so I can start this scarf!! :) It's so beautiful. I haven't knit in ages but this inspired me to make a scarf for my stepdaughter who's currently working on a crabbing boat off the coast of Alaska!! 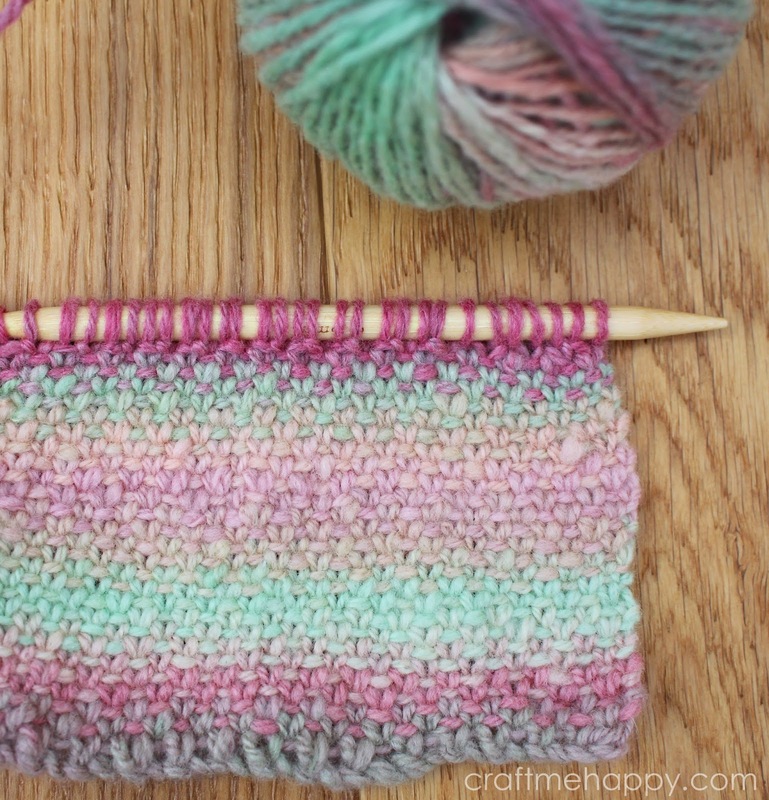 I am so glad that you developed this stitch as I looked on YouTube for a Boucle Stitch and found none. I had the idea of combining Boucle Knitting Yarn with a Boucle Stitch and here I have found that I can actually achieve it. Thank you so much, you have been a great help to me. 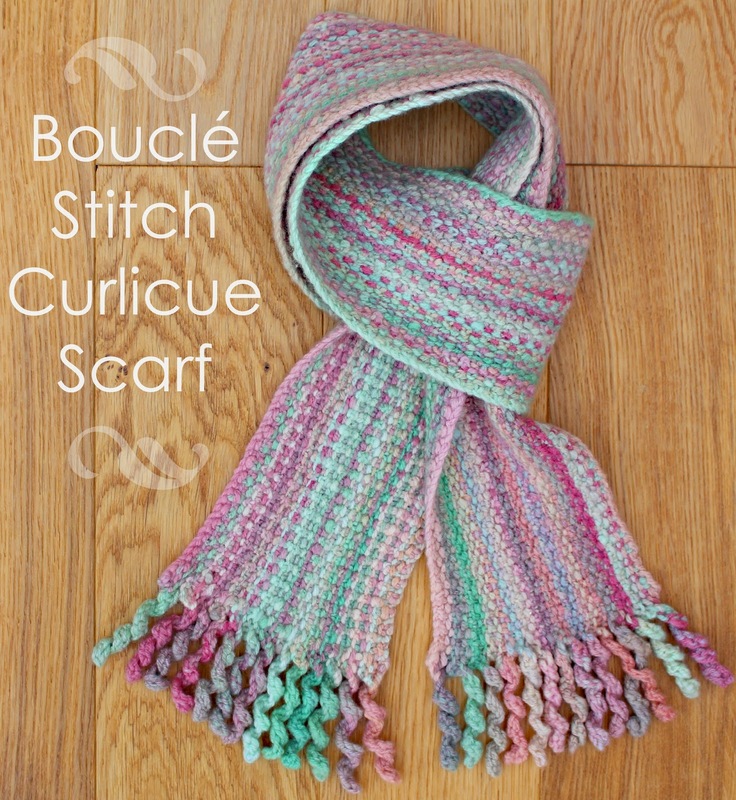 I tried doing it in garter stitch (trust me, I'd much preferred to just knit it myself) but I didn't like the effect. 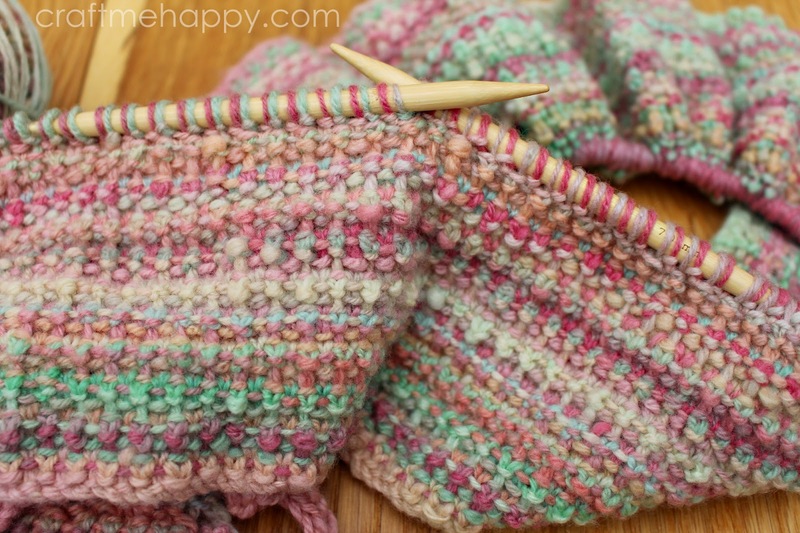 It's been some time since I wrote this post, so I've forgotten how it turned out, but I remember preferring the original linen stitch to a garter linen stitch. 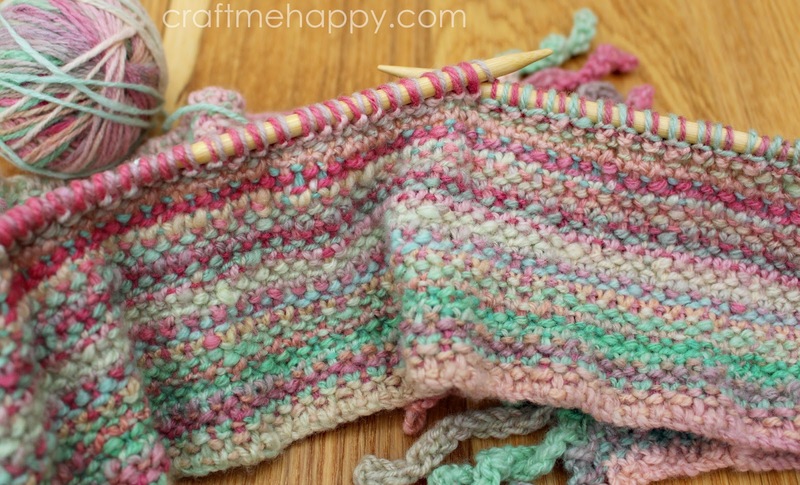 Is your beginning slip stitch done purl wise or knit wise? I love this look and want to try it but don't want to begin with the wrong stitch. Thanks! All of the slipped stitched are slipped knit-wise. I'm sorry, I should have said.